The Energy Savings and Industrial Competitiveness Act of 2013 (designed to update government buildings to improve energy efficiency, institute electricity-saving measures for government computers, and make it easier for agencies to switch to electric and natural-gas-powered vehicles) is stalling on Capitol Hill. Like everything else these days, the legislation is getting bogged down in the bureaucracy of the Patient Protection Affordable Care Act (PPACA) despite strong support from the President and other alliance groups. Meanwhile, some of America’s biggest cities are beating Washington to the proverbial punch and setting the best environmental examples. According to a new ranking by the American Council for an Energy-Efficient Economy (ACEEE), many U.S. cities are implementing a variety of energy-saving measures such as requiring more efficient building designs, building electric vehicle charging stations and promoting bike sharing. This knowledge comes on the heels of an ACEEE evaluation involving 34 U.S. cities. The criteria: Just how “green” were these places in terms of building design, transportation, utility programs, local government operations and community-wide initiatives? Which city is at the head of the class? Boston, it turns out, earned the highest score. 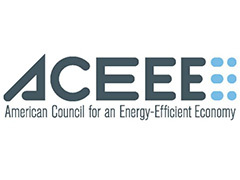 With 76.75 out of a possible 100 points on ACEEE’s scorecard, Beantown beat out other front-runners like San Francisco, Portland, Seattle, Austin and New York City. Of course, Bostonians must’ve done their part by being receptive to a host of changes, but at least partial credit must go Mayor Thomas M. Menino. In 2009, he created the Renew Boston initiative, which set a goal of reducing the city's electricity consumption by 200 megawatts—enough to power 92,000 homes. Posted on October 9th under Renewable Electricity.